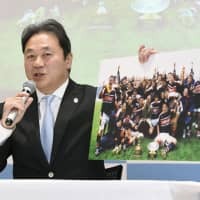 Recently retired Yamaha Jubilo head coach Katsuyuki Kiyomiya said he is proud of his eight seasons at the helm of the Top League club and shared his post-retirement plans on Tuesday. “I was able to teach a lot of teams that you can do anything if you try, and I pushed through a style unique to Yamaha,” Kiyomiya told a Tokyo news conference. “In four years, we proved that a team lacking big talent and good circumstances can become the best in Japan,” he said. The 51-year-old is expected to stay on as an adviser at Jubilo and will support his successor Takanobu Horikawa. 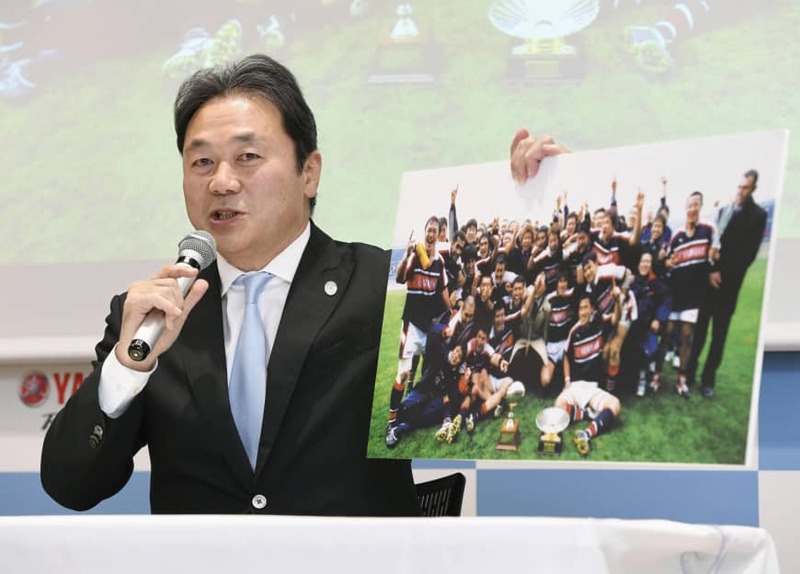 Kiyomiya is now a managing director of the Azalea Sports Club, a comprehensive sports facility based out of Shizuoka Stadium Ecopa, and is putting together a women’s sevens team. Former Japan men’s international Hirotoki Onozawa, second on the list of all-time cap winners for the Brave Blossoms, will serve as the team’s coach. Jubilo finished third in the Top League this past season after losing their semifinal playoff against his old club Suntory Sungoliath.